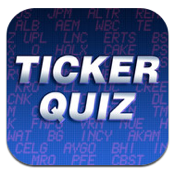 Ticker Quiz, developed by eoz games, is an iPhone game based around stock market ticker symbols. You might know eoz games from some of their other offerings, like Word Cracker and Roman Backgammon. The game is simple: you are given the name of a company traded on the New York Stock Exchange (NYSE), and have to pick the correct stock symbol out of four possible options. Wrong answers lose you points, while correct answers boost your score. It’s always slightly interesting to see the weird (and often kind of illogical) symbols that some of these big companies are traded under. That definitely lends a certain level of difficulty to the whole game. The intended audience is obviously quite limited here. 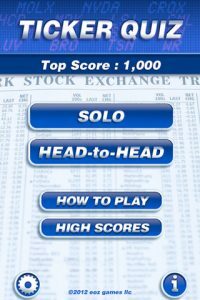 It’s an educational iPhone game in a sense, but only really has utility for students or professionals in the realms of finance, business and commerce. 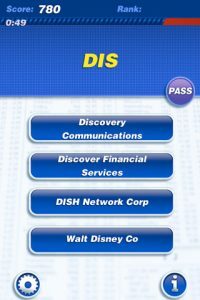 If you work or study in these industry’s the Ticker Quiz is a fun way to master a long list of publicly traded companies and their stock symbols. 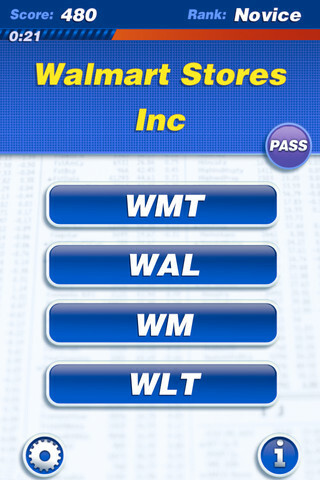 $1.99 does seem a bit stiff for this type of app, given its narrow appeal. The interface itself is no-frills, but quite functional and fun to play. 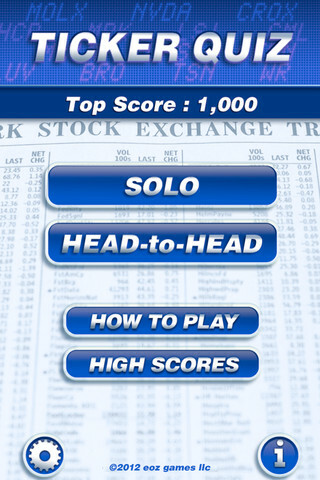 But if you don’t care about the stock market, Ticker Quiz may not entertain you at all, even with a head-to-head mode. 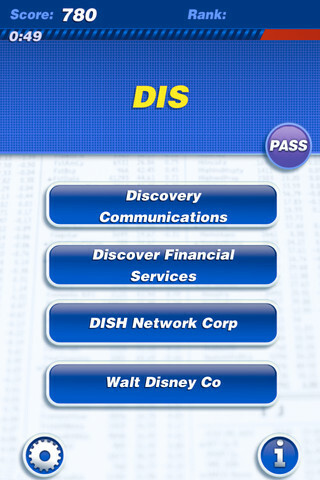 Ticker Quiz is compatible with iPhone, iPod touch, and iPad. Requires iOS 4.0 or later.